KNOXVILLE, Tenn. – No. 22 Tennessee is set to cap off its nine-game homestand on Tuesday night at 6 p.m. against Morehead State at Lindsey Nelson Stadium. The Volunteers are coming off a huge series win over No. 2 Georgia last weekend. The Big Orange shutout the Bulldogs in games one and two to earn their first series win over a top-five opponent since taking two of three from No. 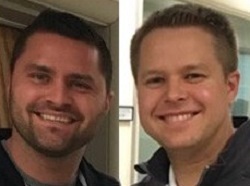 4 Vanderbilt in 2016. Fans can stream Tuesday’s game live on SEC Network+ and the WatchESPN app as Bob Kesling(PxP) and Charlie Puleo (Color) call the action. John Wilkerson and Vince Ferrara will also call the game for the Vol Network (FM 99.1) as well as UTSports.com and the UT Gameday App. The Vols and Eagles have played each other in each of the past six seasons with the Big Orange going 4-2 in that span. Tennessee went 3-1 last week with two more top-five wins, making it four total victories for the Vols over teams ranked in the top-five this season. The Big Orange moved back into the top-25 this week, jumping to No. 22 in the USA Today Coaches’ Poll and No. 25 in the D1Baseball.com and Perfect Game polls. 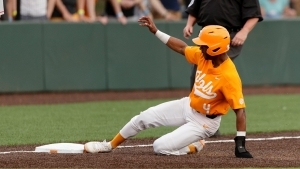 The Vols started the week by blasting seven home runs in Tuesday’s 11-2 win over Lipscomb. The seven homers tied the program record for a single game, which was set on March 7, 1980 vs. Tennessee Tech. UT hit three straight home runs in the first inning of Tuesday’s win, marking the first time that has happened in program history since April 3, 1996 vs. ETSU. Five different players went deep for the Big Orange on Tuesday for the first time since April 16, 2010 against Mississippi State. Tennessee posted back-to-back shutouts in the first two games of its series vs. No. 2 Georgia, bringing its total to eight for the season which ranks first in the nation. It was the first time the Vols have shut out an SEC opponent in back-to-back games since blanking South Carolina (8-0) and Georgia (11-0) in the SEC Eastern Division Tournament on May 19 and May 20, 1995. It is also just the second time in program history that UT had recorded consecutive shutouts in an SEC series. The first was April 14-15, 1967 at Kentucky with wins of 7-0 and 2-0. The series win over the Bulldogs was Tennessee’s the first over a top-five opponent since April of 2016 when the Vols took two of three from No. 4 Vanderbilt. Sophomore Garrett Crochet made his first start of the season in Thursday’s series opener and tossed five shutout innings. Junior reliever Andrew Schultz earned his first win of the season in the series opener after allowing just one hit over two scoreless innings. Redshirt sophomore Redmond Walsh did not allow a run over the final two innings to earn his team-leading fifth save of the year. Junior ace Garrett Stallings was named SEC Pitcher of the Week on Monday after a dominant performance on Friday night. Stallings threw his first-career complete game shutout to lead UT to a series-clinching victory. The Virginia native scattered five hits and walked just one batter while striking out five to improve to 6-2 on the year. Morehead State was picked to win the Ohio Valley Conference in the preseason poll after winning the conference tournament last season to earn an automatic bid to the NCAA Tournament in 2018. The Eagles had four players selected to the Preseason All-OVC team: 1B Trevor Snyder, SS Reid Leonard, OF Connor Pauly and LHP Cory Conway. MSU is coached by Mike McGuire, who is in his seventh year as head coach of the program. He has led the Eagles to 212 victories and a pair of NCAA Tournament appearances (2015 & 2018). Morehead State is one of the best offensive teams in the OVC and the nation, boasting a .308 team batting average (ninth in the nation) and 7.6 runs per game (20th in the nation). Hunter Fain leads the team with a .398 batting average and is also tied with Pauly for the team lead with seven home runs. Pauly also leads the team with 18 extra-base hits and 40 runs batted in. The Eagles have seven players with 21 or more RBI and eight players batting .306 or higher. Projected starting pitcher Alex Garbrick is 2-3 on the year with a 6.04 ERA. He has 32 strikeouts and 19 walks in 25.1 innings of work. Trivia Tuesday (Sponsored by Moe’s): Play trivia throughout the game with a chance to win prizes. This week’s theme is Tennessee Athletics! $2 Tuesday: All general admission tickets are only $2 and fans can purchase churros for just $2 through the fourth inning. Taco Tuesday: First 100 students receive a free taco at the taco bar! 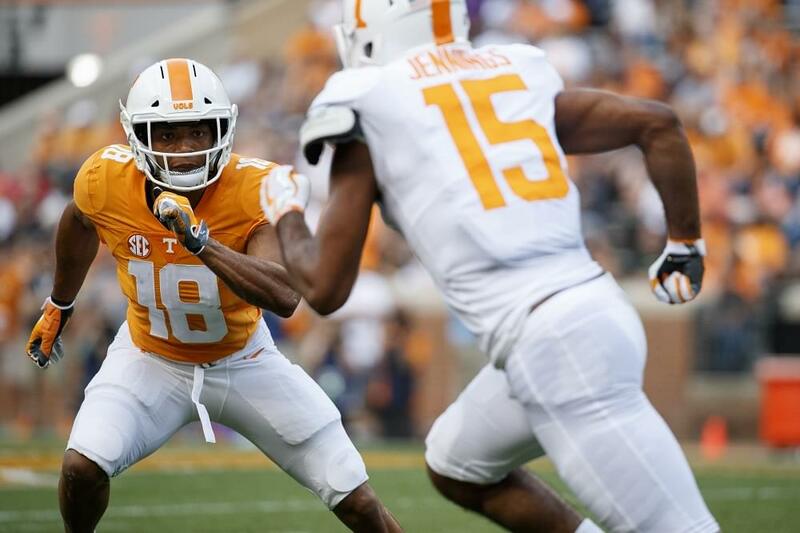 The Vols hit the road to take on SEC East rival Kentucky this Thursday-Saturday in Lexington. All three games will be streamed live on SEC Network+ and the WatchESPN app. Fans can also listen live on the Vol Network (FM 99.1/AM 990) as John Wilkerson calls the action.